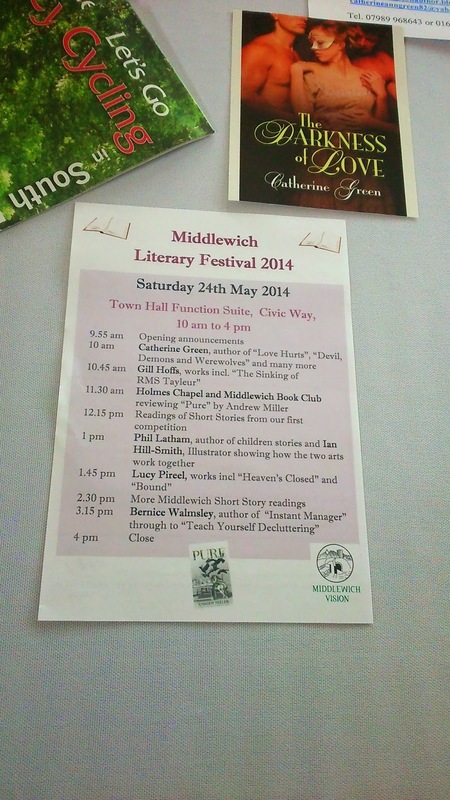 Last weekend we celebrated the very first Middlewich Literary Festival, #MidLitFest in Cheshire. It was a fantastic event, populated by local readers, writers, illustrators and book lovers. I was a guest author, along with my new friends Gill Hoffs, Lucy Pireel and Bernice Walmsley. We showcased our work, discussed our experiences in the industry, and ate lots of cake! 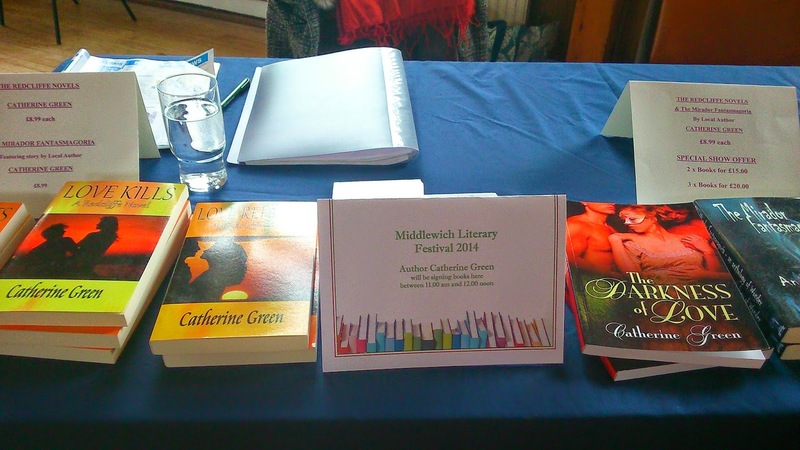 This entry was posted in author, british, catherine green, Random Musings, UK and tagged #amreading, #amwriting, #MidLitFest, Bernice Walmsley, book festival Middlewich, catherine green, Cheshire events, gill hoffs, lucy pireel, Middlewich Literary Festival. Bookmark the permalink.